Recently, I was placed in the precarious position of having to explain to a fellow woman why I am so passionate about women’s empowerment. She believes that the playing field has been leveled and all these initiatives are in vain and unnecessary. I had to hold myself back from hitting her on the head with my laptop filled to the brim with research on why women are still a vulnerable group in 2015. So I’m sharing why I am passionate about women. I have always been very timid. I think I am now just growing into myself, anyone who has known me for over 10 years can attest to this. I have been lucky to have been mentored and been given opportunities to shine by people who recognized that in spite of a being skinny, shy girl, I had something important to contribute. And because of these people believing in me, I have a chance to make something out of my life and provide a great life for my daughter and I. 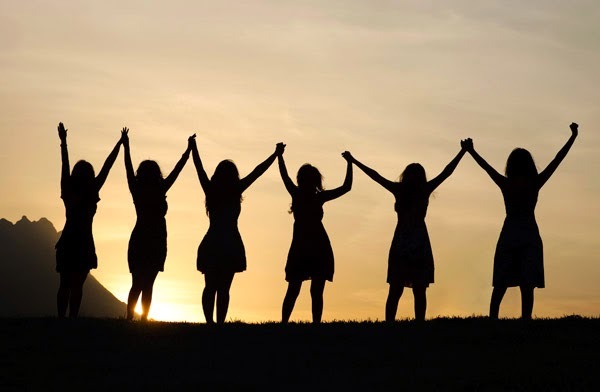 Now, not so many women have a similar support system, in fact most women do not. Most women go through life doing what society says they can do, we are raised to aspire to traditionally feminine roles. Most parents I know are in a panic that their daughters are not married because this is the ideal epitome of success for a woman. Marriage is not bad, but we can be more than wives. In fact, I believe an empowered woman is a better wife. You need a life partner to help you steer this thing called life not someone who will just be dead weight on your boat and who better than a woman who can contribute to more spheres of life than housekeeping. So yes, the opportunities may be the same for men and women but social constructs still exist holding us back. Women lag behind men in technology adoption owing to the high costs of acquiring and maintaining new technologies, women have longer hours of work because not only are we gainfully employed but it lies with us to take care of the young. And for our homes, our economies and our nations to grow, women need to be part of the development conversation because women have a higher propensity to use their earnings and increased bargaining power to buy goods and services that improve family welfare. And family is where it all begins and ends. This is why I am passionate about empowerment of women.